Whether it’s his fiction and nonfiction, his work as a TRADOC ‘mad scientist,’ the interviews he’s done with defense media, the pages of Popular Science, or some other venue, P.W. Singer is the Army’s must-read thinker. 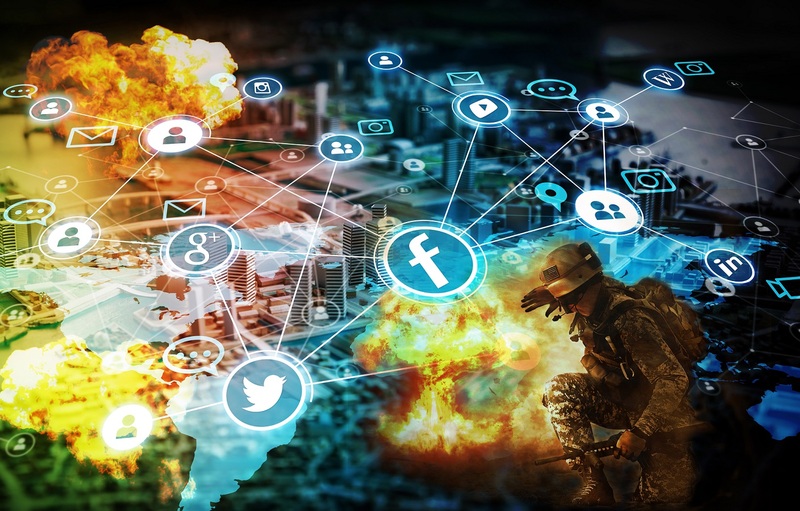 In the ongoing, all-consuming exploration of the future battlefield, the recently published book “LikeWar: The Weaponization of Social Media” adds a new dimension. Only this battlefield is already well-established: the internet. “[T]he internet has become a battlefield,” one that “changes how conflicts are fought,” co-authors P.W. Singer and Emerson T. Brooking write. “[T]his battle changes what ‘war’ means,” with victory going to those who command more attention, more effectively. The principles of warfare on the internet are already pretty clear, they write. In fact, Prussian general and iconic military thinker Carl von Clausewitz (1780-1831) “would have implicitly understood almost everything it is doing to conflict today.” But, as “LikeWar” explores, social media have created new rules for war and politics that would have flummoxed Clausewitz and are doing much the same to today’s leaders. The evolution of warfare is more than comfortable territory to P.W. (Peter Warren) Singer. It is where he has built much of his life’s work. Singer is a strategist at New America, a Washington, D.C.-based think tank “dedicated to renewing America by continuing the quest to realize our nation’s highest ideals, honestly confronting the challenges caused by rapid technological and social change, and seizing the opportunities those changes create.” He is also an author and an editor at Popular Science magazine and an official “mad scientist” for the U.S. Army Training and Doctrine Command. To call Singer prolific is a glaring understatement. So is just naming the six books he has authored, both nonfiction and fiction. The Wall Street Journal has called him “the premier futurist in the national-security environment.” The Smithsonian Institution has named Singer one of the nation’s 100 leading innovators. 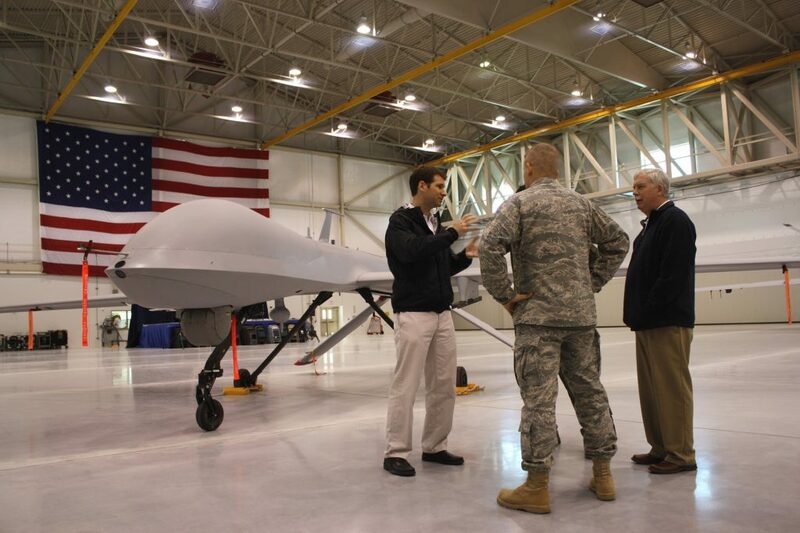 Defense News includes him among the 100 most influential people on defense issues. Foreign Policy magazine has him on its Top 100 Global Thinkers List. And Onalytica Ltd., a social media data analysis consultancy, counts him among the 10 most influential voices in the world on cybersecurity and 25th most influential in the field of robotics. These many titles of authority are no casual hyperbole. Singer comes by them honestly, and with surprising humility. His thinking and writing venture into virtually every corner of defense: the nature of warfare in all of its realms—land, sea, air, space and cyber—military history, doctrine, emerging and future technologies, war gaming, organizational change and more. Given mundane but necessary time constraints, Army AL&T had a painful choice to make in talking with Singer: where to focus its discussion. 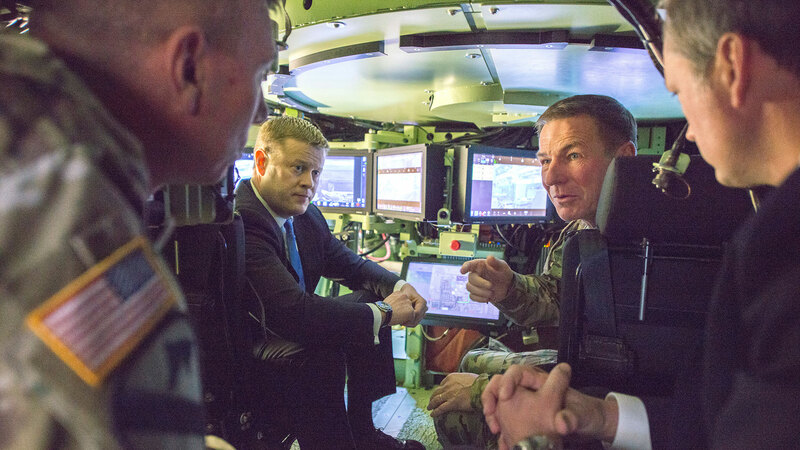 We chose transformation to be Topic A, namely the transformational aspects of technology and whether there’s any realistic hope for DOD to transform its acquisition system into one that could be responsive to emerging technologies. The theme is all too familiar to Singer, based on his experiences with the military. Straightforward and plainspoken, Singer asks as many questions as he answers; but then, that’s the point. Reading some of the interviews Singer has done with the military specialty media, one of the key questions he has embraced centers on technology, which now happens to be the focus of the Army’s push to modernize so that it can establish a decisive advantage in the battlespace. Is the U.S. military in a position to seize advantages that are already there, such as the internet? It’s one thing to adapt technologically in response to a known threat, but quite another to waste no time in harnessing technology to claim the battlefield in the first place. NeXTech comprised a series of war games in partnership with the U.S. Army War College, the U.S. Naval Postgraduate School and the U.S. Naval Academy, among other organizations, to examine the barriers to use of the technologies as well as their appropriate uses from tactical, strategic, doctrinal, legal and ethical standpoints. The project focused on five areas of technology with the potential to produce “game-changers”—biotechnologies (e.g., human enhancements), energy (e.g., lasers and superefficient batteries), materials (e.g., 3D printing), hardware (e.g., robots) and software (e.g., electromagnetic and cyber weapons). 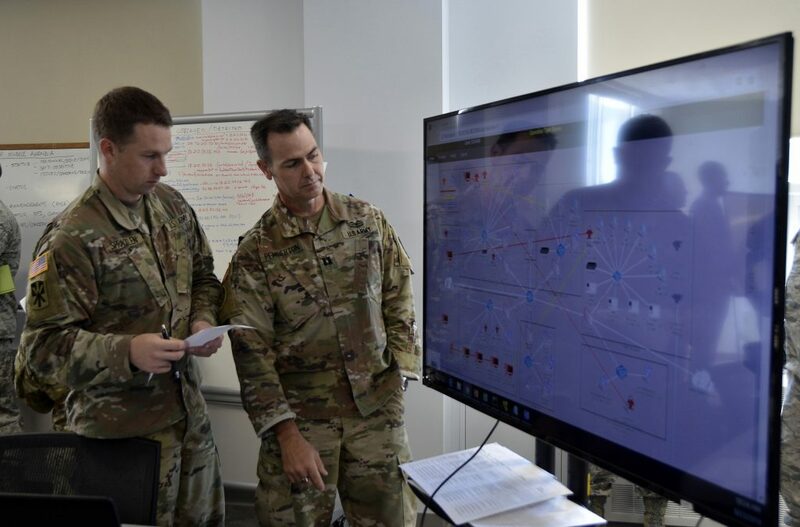 While the outcome of NeXTech was primarily to shape senior defense leadership’s decision-making on resource-constrained planning and investment in science and technology, it was a starting point in the slow reorientation of defense priorities toward emerging technologies in a globally competitive environment. In an interview in November 2013 with the late journalist Matthew Power published on TED Talks’ website, Singer observed that in the four years since NeXTech concluded, the pace of technological change and the pace of government were getting further and further apart. The difference has only grown, he told Army AL&T. “It’s getting worse, because in some areas we’re no longer playing catch-up. We’re literally moving in the opposite direction” in terms of defense policy and its people, he said. Singer cited as an example the Trump administration’s decision last spring to eliminate the White House position of cybersecurity coordinator, a position created under President Barack Obama. National Security Adviser John R. Bolton stated that the post was no longer necessary because lower-level officials had already made cybersecurity issues a “core function” of the president’s national security team. The White House cybersecurity coordinator was in charge of shaping national cybersecurity policy and the political responses to national cybersecurity incidents. Instead, Bolton assigned the task to two National Security Council senior directors, at a time when defense and intelligence officials anticipate more cyberattacks, not fewer, given cyber threats from major powers such as Russia’s NotPetya ransomware and North Korea’s WannaCry ransomware. “You look at the history of leading American technology companies, and the overwhelming majority of them were started by either an immigrant or son of an immigrant.” Yet current national immigration policy has moved to create the opposite, with dangerous potential consequences, he said, evoking the United States’ deportation in 1955 of Qian Xuesan, the first director of Cal Tech’s famed Jet Propulsion Lab who would go on to found the Chinese intercontinental ballistic missile and space rocketry program. Those days of McCarthyism and the Red Scare were over a half-century ago, but the current national policy’s singling out of certain Muslim countries for restrictions on immigration to the U.S. are painfully familiar, Singer said. “You can pretty much [draw] a direct line between actions driven out of bias that harmed national security. … We know what works, we know what doesn’t, from history, and we’re ignoring these lessons today. On the plus side, Singer sees DOD’s outreach to Silicon Valley as a “saleable” step in the right direction as the Army modernizes. “I don’t think it’s the end-all, be-all solution, and the challenge is multifaceted,” he said. The second major challenge is that, whereas the Soviet Union competed technologically with the United States, now China is also competing economically for American investment, which colors U.S. companies’ willingness to do business with DOD. “The China market is crucial to so many companies’ future prospects. And so it leads them to look at that relationship with the Pentagon—that full-fledged jump into, you know, a more traditional defense industry role—with a different kind of eye. Additionally, given the nature of the technology, it’s becoming easier and easier to use—AI, for example—because of machine intelligence. A drone that is flown by a brain-machine interface lowers the barrier to use by “all sorts of different actors; the ‘pilot’ didn’t have to learn how to become a pilot to fly this complex piece of machinery,” Singer noted. Singer noted that since then, Fort Polk, with its collection of villages and counterinsurgency sites, “has become the training and thinking ground for everything from, how do we stop Soviet tanks to after 9/11”—to, most recently, a cyberspace “battleground.” Singer has advised one of the companies involved in that program. MARGARET C. ROTH is an editor of Army AL&T magazine. She has more than a decade of experience in writing about the Army and more than three decades’ experience in journalism and public relations. Roth is a MG Keith L. Ware Public Affairs Award winner and a co-author of the book “Operation Just Cause: The Storming of Panama.” She holds a B.A. in Russian language and linguistics from the University of Virginia.